Are you ready to accelerate your path to Actionable Insights? You realize that dashboards tailored to the roles and departments in your organization is a must to make sound decisions, to remain competitive, and achieve your goals. Yet, many organizations are swimming in a sea of disparate data, have reporting that isn’t delivering actionable insights, and many are overwhelmed by the perceived complexity of solving this dilemma. So, where do you start? With a Domo consultant, of course! Not all BI solutions are created equal, and Domo is proof. More than just a tool, Domo is a cloud-based dashboard and data visualization platform that turns data into actionable insights —quickly and easily — for better, faster decision making. 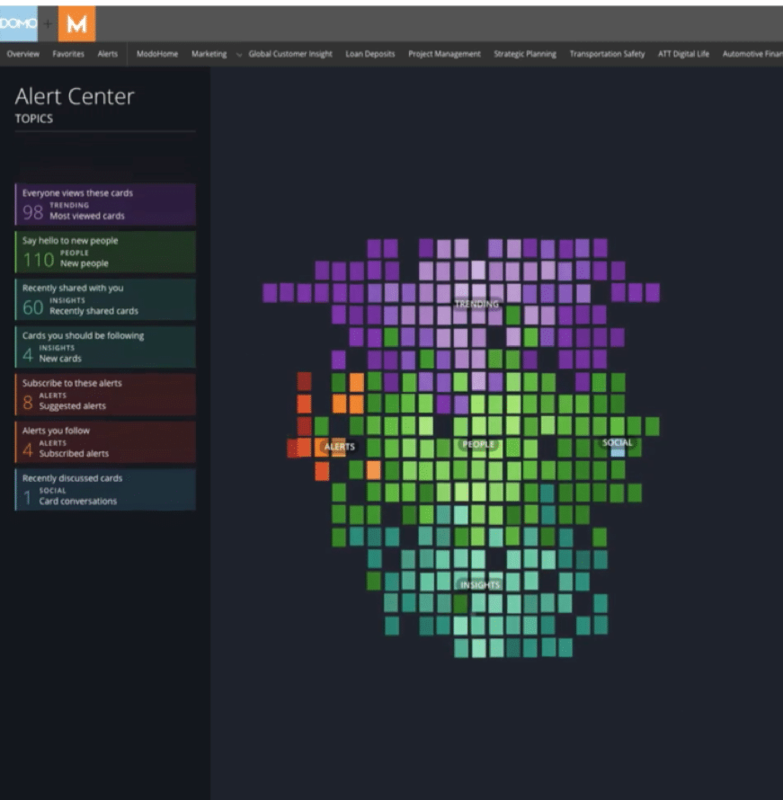 Domo connects your team to the vast amounts of data spread across your organization, delivering key insights and opportunities as they arise, with active alerts. This enables you to remain on the pulse of your business and industry. With these tailored findings, you can develop and execute strategies to EVOLVE and be more successful sooner than later. Today’s leaders require more than just data analysis. You need insights that drive action — and better return on investment. Yet many of today’s business intelligence tools continue to focus on data integration, and lack the ability to deliver the data in a meaningful way. It provides data management that simplifies data integration and streamlines the visualization using industry best practices and extensive feedback from leaders like you. This dramatically accelerates implementation, supports leaders with alerts and insights, and most critically, promotes action that leads to measurable results. Read more about the reasons business leaders love Domo. You’ve got data — lots of it — spread across your organization. Domo makes it easy to integrate data from any source, on-premise or in the cloud, with a flexible array of data connection options. 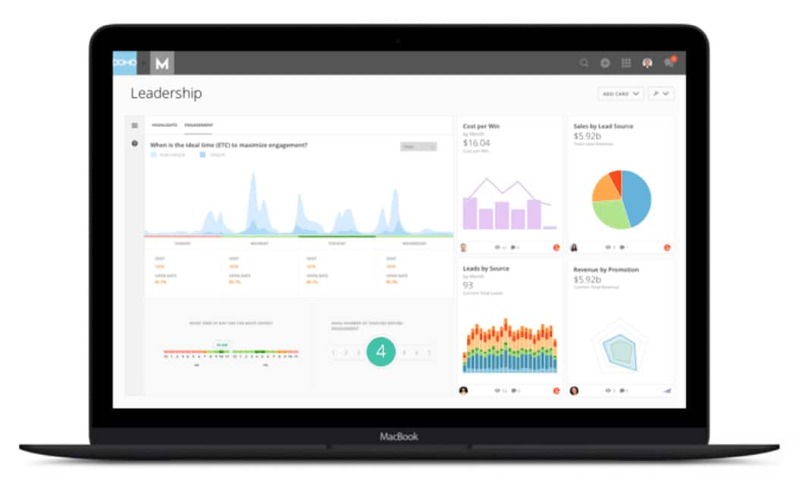 With Domo, you can analyze, visualize, collaborate on, and make decisions on your data, all in one place. A Domo certified consulting expert will help you optimize your return on analytics investment (ROAI) by helping you avoid common missteps and ensure a sound BI/analytics strategy is executed that results in dashboard reporting that alerts you to what you need to pay attention to in order to optimize your organization. Define specific business objectives, identify key business questions, and document your strategy with a supporting roadmap. Identify your most relevant data, connect to the specific sources, and develop visualizations mapped to your needs. Drive higher user adoption, increase engagement and governance, and provide continuous optimization. Train your team to increase self-sufficiency, share best practices, and help EVOLVE your overall Domo capabilities. To succeed in today’s business environment, you need to make better, faster decisions, and then take action. Leveraging analytics to power actionable insights will help you Make Your Mark by strengthening your position as a leader within your organization and, most importantly, delivering greater business results. Our Domo consulting experts are ready to help you accelerate your path to actionable insights. When you are ready, they will provide a demo or answer your questions — whether it’s about Domo features, Domo pricing, or the difference between solutions such as Domo, Tableau, Power BI, Google (Data Studio, Big Query, Cloud), Oracle, MicroStrategy, SAS and SAP. If you have questions or are ready to discuss how Domo Consulting can help you EVOLVE your organization, talk to a Blast Solutions Consultant today. Looking for help beyond Domo? Check out all of our data visualization solutions and other dashboard reporting consulting services. Looking for analytics consulting beyond just dashboards? See the breadth of analytics services provided by our analytics consultants.